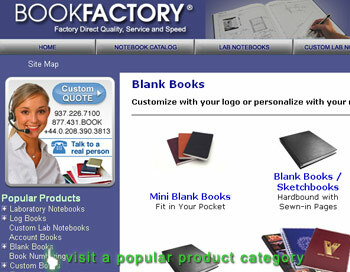 At BookFactory we strive to make your shopping experience as informative and productive as possible. We are constantly updating our website to make it more user friendly. If the information on this page is not helpful or you have a question or suggestion, call us at 1 (877) 431-BOOK 9 am-5 pm US Eastern Standard Time and ask to speak to our webmaster. The eight images below illustrate our navigation features. Use the arrow buttons on the right frame of your browser window or your mouse wheel to scroll down the page. 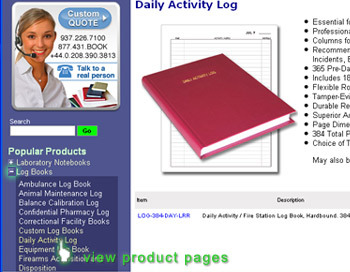 Please review the entire page to see all of our dynamic features. 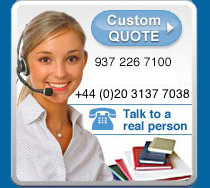 If you have questions about our company and our policies, visit our Frequently Asked Questions page before calling. 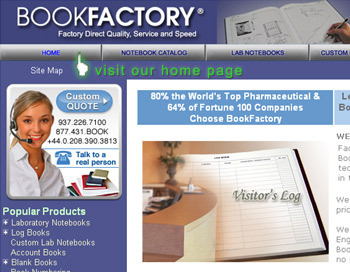 Visit our Home/WELCOME page to learn more about BookFactory and see a 45 second slide show showcasing our custom products. You need a Flash® program (available free) to view the slide show; if you do not have Flash®, you will see a single image. There are also links to: information about the value of Smyth sewn binding, a video demonstrating the strength of our books, our custom book department and product pages. If you point your cursor to small "+" to the left of a popular product category in the left navigation menu, a list of products will appear below the category text enclosed in a darker blue box. Click on a product in the menu to narrow your choice without visiting the "parent" category first. To close the drop down menu, click on the "-" icon. 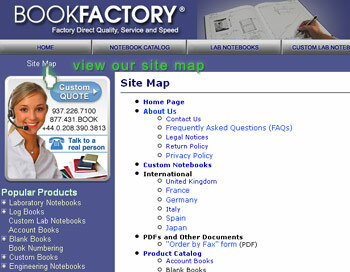 The site map shows you an outline of pages on bookfactory.com with hypertext that links to those pages. 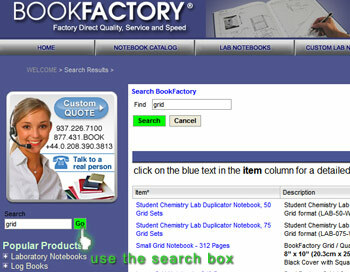 If you have navigated to our database site (http://shopping.netsuite.com/bookfactory), a search box will be substituted for the sitemap (see below). The "hypertext" in the left navigation menu links to our most popular product categories. 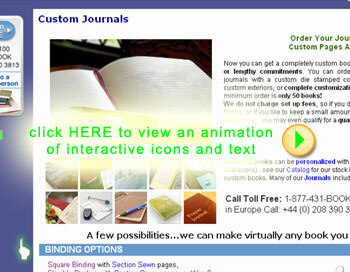 Most of the pages will have images and text that can be clicked on to further narrow your selection. Type keywords or the product letter/number (if you know it) into the textbox and you will be provided with a list of products that contain those keywords. The search box within the results will show the words you used for your search. 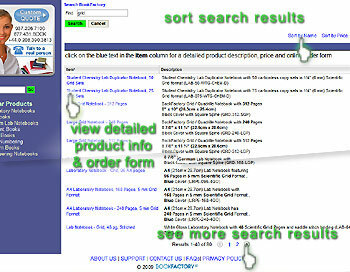 Click on the blue "hypertext" in the results list to view the individual product page. Results can be sorted by name or price. If the list is several pages long you can view those by scrolling to the bottom of the list and clicking the numbers or arrows displayed. To display fewer results: add more keywords to your search, making it more specific. To expand the number of results: use fewer keywords. You can choose your currency from a drop down list at the upper right corner of the page. 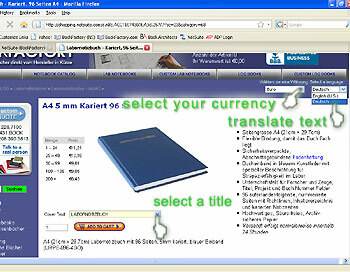 Our site is written in English and is partially translated into German; select the language as shown above. (Note: these select boxes are available on our NetSuite site only) Our WELCOME page is translated into six languages, which can be accessed by clicking on the small flag icons on the upper right portion of the content area of the Welcome page. Some of our pages utilize "icons" or "thumbnails" (small images) to change images and/or descriptions when the mouse points to them (this action is known as a "mouseover"), some colored text change the featured image on the current page, and any words that appear bright blue on a page can be clicked to view a page linked from that word. Your browser might identify mouseovers as "active content" and block them if programmed to do so. It is entirely up to you whether you want to allow active content on the page. We have earned the Better Business Bureau seal by being trustworthy. The purpose of the active content on our site is only to enhance your experience and provide you with as much information as possible so that you can make educated decisions when you make a purchase from our company.